The RideOnTrack dispatching system can be considered as a ‘general purpose’ dispatching system which can be used in any environment where operational communication is of key importance. For Railways, RideOnTrack developed a special product range called, DiCa_Rail, which implements the specific features as required in a railway operational communication network (EIRENE FRS 8.0.0, SRS 16.0.0 GSM-R). GSM-R became the ‘de facto’ international standard for mobile communication within the railway industry. GSM-R is a 2G technology specially enhanced with railway specific features (e.g. PTT, VGC, MLPP, etc.). GSM-R is an operational telecommunication system requiring (centralized) operation/dispatching control as specified in EIRENE/MORANE. GSM-R is a digital communication system allowing enhanced feature implementation, and as such, improve the operational performance of railway undertakings. 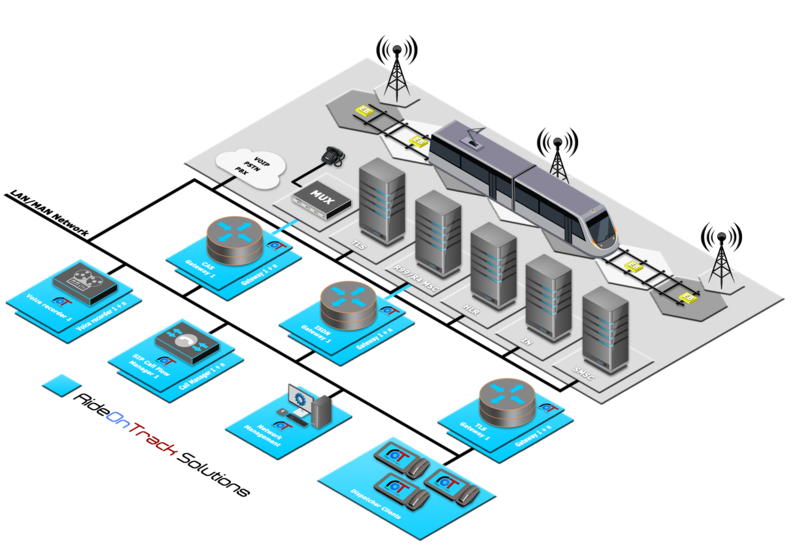 The dispatching system is located at the center of the operational network and connects to all network components as well as to the Train Location Server. In an operational environment there are strict rules, called operational procedures, which outline how communication needs to be handled. The dispatching system ‘enforces’ these operational procedures on all people making use of the telecommunication network. Some of these rules are specified by EIRENE (European standardization), others are railway infrastructure provider specific. The aim of the dispatching system is to control the communication of the (operational) users making use of this mobile and fixed telecom network. The Dispatcher solution provided is completely IP/SIP based. Only if it is required to connect to none IP/SIP (legacy) systems (e.g. R99 MSC or FXO/FXS telephone lines) gateway functions are used. The system is completely modular. For small networks (or a test system) all the different components can run on a single server. For larger systems, or if Geo-redundancy and/or load sharing is needed, the different functionalities can run on multiple servers spread over a larger geographical area. 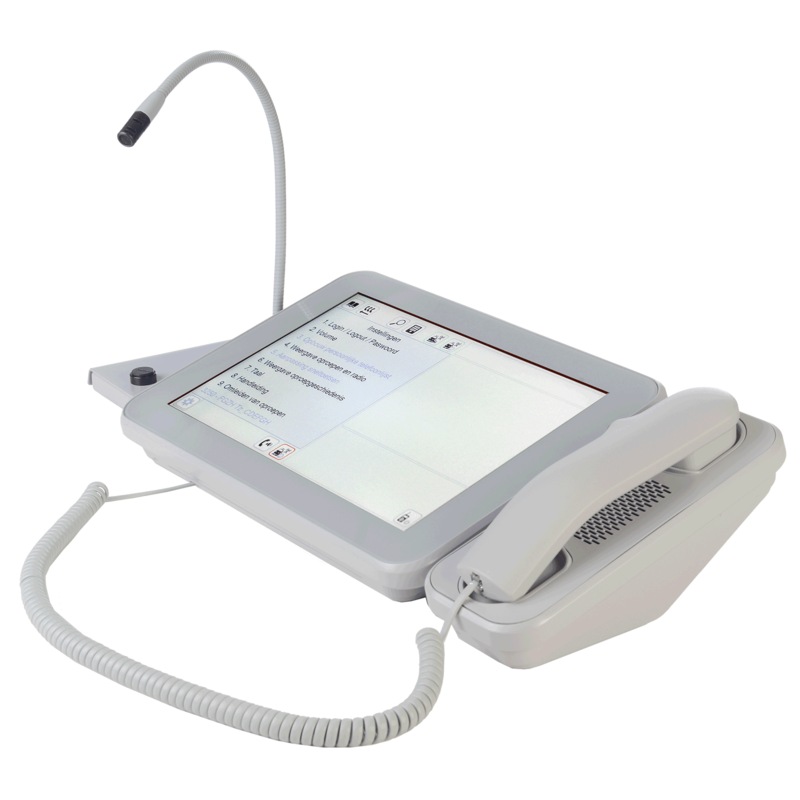 The terminal is a Windows based PC with a 12” touch screen, equipped with a special PTT (Push To Talk) handset (left or right mountable) and a standalone gooseneck microphone. The terminal can be used in different tilts. The terminal is provided with a GUI which gives access to the many functionalities needed by a dispatcher. 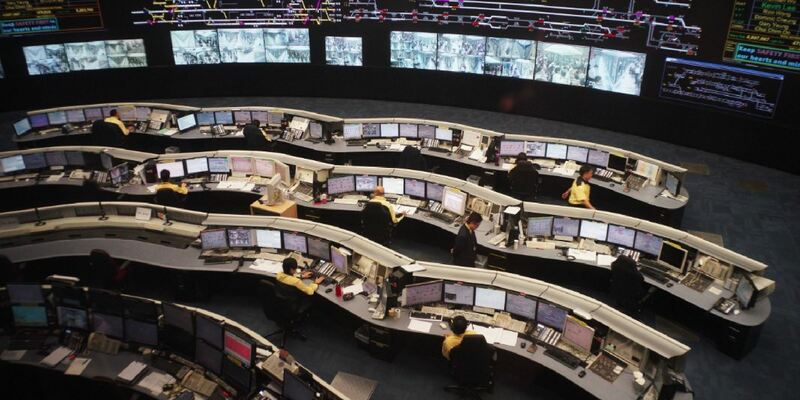 The terminal is designed to meet the typical ergonomics in a Rail Traffic Control Centre. However, the RideOnTrack dispatcher software can also be used on any (recent) windows based COTS computer product. Compact design which minimizes the required table space. All kinds of quick/enhanced dial possibilities. For each phone book entry additional information can be stored/requested. Decoded FN (call type and function code). Allowing pickup of any call in Queue (for disaster recall selection). Monitoring channel for overhearing several radio channels simultaneously. For connection to fixed analogue lines (local battery/central battery).